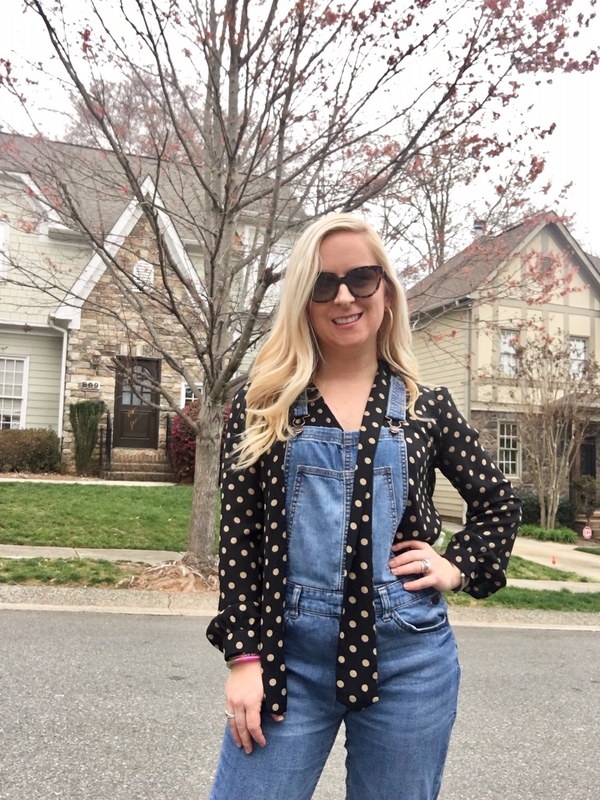 I've said it before and I will say it again, if I had a signature print, it would be the polka dot. I really don't discriminate when it comes to polka dots - large, small, colored - I am here for it. And this Spring, I am living my best life with all of the options that are out there. 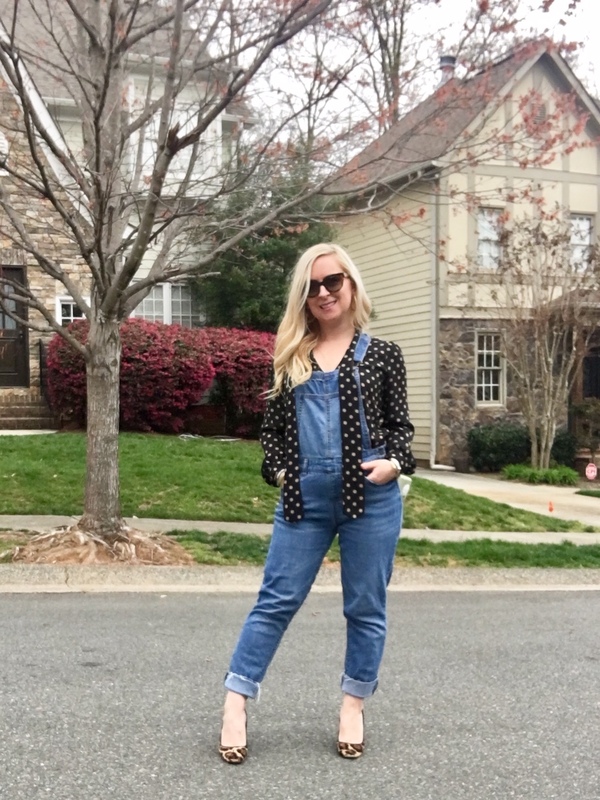 The best thing about polka dots is that they are super versatile - from work to play, you can break them out for any occasion. This top is a great example of that. I've worn it from work meetings to under overalls <insert your favorite clueless or farmer joke here>. I'll tell you this though, overalls are where it's at.